Mount Damavand ski tours. Hiking and mountaineering tours Iran. Ski touring Alborz and Zagros Mountains. Adventure ski expedition tour Iran mountain zone. Climbing, trekking, hiking and mountaineering Mt Damavand Iran. Mount Damavand (5,671 Meters, 18,606 Feet) is the Highest Volcano in Asia. This giant mountain is located in the Alborz Mountains near the south seashore of the Caspian Sea, 80 km North East of Tehran, Iran in Mazandaran province. Damavand is a tipical cone-shape volcano with a narrow summit coverd with permanent snowcap, it is surrounded by many beautiful mountains in Alborz Chain, its snowy white summit and its regular clouds is the most attractive scene of Persia. Despite the fact that there is no historic eruptions recorded and it is believed to be a silent stratovolcano, but Damavand Volcano has fumaroles and sulfur gas coming out near the top and it is considered to be a potentially active dormant volcano. Main Damavand Difficulty factors are Timing, the amount of snowfall, weather condition, your phisical fitness and Acclimatization. The south face is not technical and it has a mild slop for ski mountaineering. Damavand winter climb is very tough and you should be very fit enough and in good shape. Ascend from Damavand Base Camp (or camp 2 Goosfand Sara) to Camp 3 Bargah Sevom takes about 4 to 5 hours on ski, 1250 meters vertical climb above 3000 meters. Ascend from Camp3 to Damavand Summit takes 5 to 8 hours ascend on ski, 1400 m vertical climb in a single day. Climb involves 1400 m+ of vertical climb above 4000 meters. Carrying your baggage is naturally an additional difficulty. No rock/ice climbing experience is needed. Damavand Weather Condition plays an important role in winter. In summer Damavand difficulty is compared to Mt Kilimanjaro in Tanzania and Mt Everest Base Camp in the Himalayan, but Damavand Winter Climb it is quite different and it should be compared to a 7000 meters peak. Off-season trekking, winter climbs and ski mountaineering specially in bad weather is very hard and dangerous. Best Trekking Time: mid June To mid August. Most Updated Weblog: Damavand Guide. Most Informative Website: Damavand Info. Volcanic Status: Potentially active (Dormant with fumaroles at the summit). Damavand Informationen. Über Damawand Vulkan Iran. Wander- und Klettertouren Demavand Iran. Skitouren und Alborz Mountains Zagross Iran. Abenteuer Ski-Expedition Tour Iran Bergzone. Expedition Tour zum Alborz und Zagroz Mountains. Skitouren und Snowboard Tour in den Iran Skigebiet. Transport von Teheran IKA Flughafen zum Iran Bergstationen. Dizin Ski Piste Teheran, Iran. Iran Bergzone Tourismus Skifahren Informationszentrum. Downhill Skitouren auf milden Hängen Iran Pisten. Mount Damavand Information. About Damawand volcano Iran. Hiking and climbing tours Demavand Iran. Ski touring Alborz and Zagross Mountains Iran. Adventure ski expedition tour Iran mountain zone. Expedition tour to Alborz and Zagroz Mountains. Ski touring and snowboard tour to Iran ski resort. Transport from Tehran IKA Airport to Iran mountain resorts. Dizin Ski piste Tehran, Iran. Iran mountain zone tourism skiing information centre. Downhill ski touring on mild slopes Iran pistes. Información de montaje Damavand. Acerca volcán Damawand Irán. Trekking y escalada en giras Demavand Irán. Esquí de Alborz y Zagross Montañas Irán. Adventure Tour expedición de esquí zona de montaña Irán. Gira Expedición a Alborz y montañas Zagroz. Esquí de montaña y visita a la estación de esquí de snowboard Irán. Transporte desde Teherán IKA aeropuerto a las estaciones de montaña Irán. Dizin Pista de esquí Teherán, Irán. Centro de información turística de esquí de zona de montaña Irán. Cuesta abajo esquí de montaña en las pendientes suaves pistas Irán. 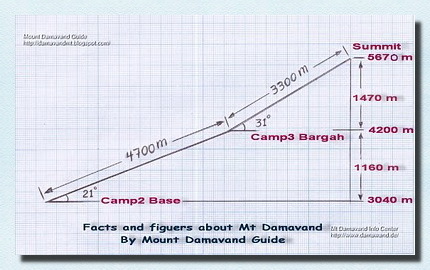 Mont Damavand information. À propos Damawand volcan Iran. Randonnée et d'escalade Demavand Iran. Ski de randonnée et Alborz Mountains Zagross Iran. Aventure ski Expedition Tour de la zone de montagne Iran. Expedition Tour d'Alborz et Zagroz Montagnes. Ski de randonnée et snowboard tournée à l'Iran station de ski. Transport de Téhéran IKA aéroport à l'Iran stations de montagne. Piste de ski de Dizin Téhéran, Iran. Zone de montagne Iran centre d'information touristique de ski. Descente ski de randonnée sur les pentes douces pistes Iran. Mount Damavand informazioni. Chi Damawand vulcano Iran. Escursioni e delle arrampicate Demavand Iran. Sci alpinismo Alborz Mountains e Zagross Iran. Avventura ski spedizione giro zona montana Iran. Tour Spedizione al Alborz e Zagroz Mountains. Scialpinismo e snowboard tour alla stazione sciistica di Iran. Trasporto da Teheran IKA Aeroporto a Iran località di montagna. Dizin Tracciato di sci Teheran, Iran. Iran zona montana Centro informazioni turistico sci. Sci alpinismo in discesa sui pendii lievi Iran piste. Mount Damavand Information. Om Damawand vulkan Iran. Fotturer og klatreturer Demavand Iran. Ski touring Alborz og Zagross Mountains Iran. Eventyr ski ekspedisjon tur Iran fjellsonen. Ekspedisjon tur til Alborz og Zagroz Mountains. Skiturer og snowboard tur til Iran skianlegg. Transport fra Teheran IKA Airport til Iran fjellet skianlegg. Dizin skiløypa Teheran, Iran. Iran fjellsonen turisme ski informasjonssenter. Downhill skiturer på milde bakker Iran løyper. Гора информация Damavand. О Damawand вулкана Ирана. Туризма и альпинизма туры Demavand Ирана. Лыжные прогулки Эльбрус и Zagross горы Ирана. Приключения лыжная экспедиция тур Иран горная зона. Экспедиция тур в Эльбрус и Zagroz гор. Лыжные прогулки и сноубордов тур в горнолыжном курорте Ирана. Транспорт из Тегерана IKA аэропорта в Иран горных курортов. Dizin Лыжная трасса Тегеран, Иран. Иран горная зона туристический информационный горнолыжный центр. Горные лыжи гастроли на мягкие склоны Ирана трасс. Gora informatsiya Damavand . O Damawand vulkana Irana. Turizma i al'pinizma tury Demavand Irana. Lyzhnyye progulki El'brus i Zagross gory Irana. Priklyucheniya lyzhnaya ekspeditsiya tur Iran gornaya zona . Ekspeditsiya tur v El'brus i Zagroz gor. Lyzhnyye progulki i snoubordov tur v gornolyzhnom kurorte Irana . Transport iz Tegerana IKA aeroporta v Iran gornykh kurortov. Dizin Lyzhnaya trassa Tegeran , Iran. Iran gornaya zona turisticheskiy informatsionnyy gornolyzhnyy tsentr . Gornyye lyzhi gastroli na myagkiye sklony Irana trass .